Modern society is the first to routinely fill teeth cavities with toxic materials as soon as they occur. But we may not need to turn to these modern practices if we simply take natural precautions. In fact, we may actually be able to remineralize teeth and heal cavities naturally with some natural solutions. For many decades, mercury amalgam fillings were used because the malleability of the mercury allowed for the fillings to completely fill all the small spaces, tiny grooves, and narrow crevices. The temperature sensitivity of the mercury also permitted the filling to expand and contract accordingly. Unfortunately, this practice of immediately filling cavities precluded the possibility of the teeth regenerating themselves. Plus, we now know that the amalgam solutions pose a noteworthy health risk due to mercury exposure. With the right natural remedies and proper technique, teeth may actually be able to rebuild their tooth structure. In this manner the tincture of time and patience become the necessary components of a self-healing program. The real key to effectively remineralizing the teeth is providing the right minerals in the right balance so that the teeth can rebuild themselves. This process can begin in earnest only after the mouth has been properly cleansed. By cleansing it should be understood that all dental materials that are toxic or allergenic for an individual are safely removed by a biological dentist. Holistic dentistry should also be utilized to address any persistent infections in the teeth or gums. Cavitation sites, in particular, must be appropriately remediated so that any focal infections are completely treated. By using only dental materials and techniques utilized by a toxin-free dentist, the naturally occurring bacterial flora in the mouth can be re-established. Likewise, the normal pH of the mouth, which is the most conducive for this difficult type of tissue regeneration, will prevail over the long term necessary for natural cavity filling. Though it’s recommended to take the previous steps mentioned, one thing you can and should do on your own to cleanse your mouth is oil pulling. Oil pulling is a very interesting mouth-cleansing method that could lead to numerous benefits, and few people know about this practice. Read more about the art of oil pulling here. What is it about eggshells that makes them so special? “Bone tissue is composed of calcium. Actually, human bones and teeth are very similar to an eggshell’s composition. 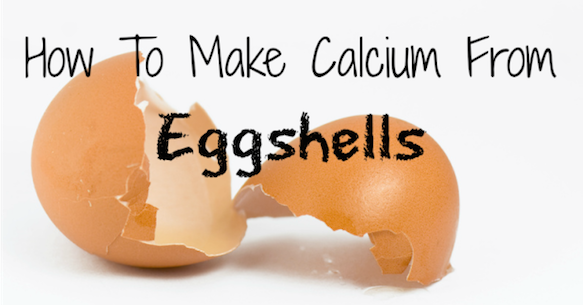 One of the benefits of eggshells is the calcium contained in the shell (93 %), the bone marrow is fulfilling its hematopoietic function better. Additionally, eggshells also contain mineral elements: magnesium, phosphorus, silicon, sodium, potassium, iron, sulfur, aluminum, etc. Refilling teeth cavities naturally is no small task; therefore, using the very best filling material that nature has to offer is absolutely vital to a successful outcome. First and foremost, the eggshells ought to come from free range, organic chicken farms in order to avoid any unwanted chemicals or antibiotics. The recipe for this Eggshell Tonic formulation is simple and easy to prepare. Homemade eggshell toothpaste can also be made by consulting this recipe. By using both the tonic and the toothpaste together, the odds will be significantly put in the favor of sufficiently remineralizing your teeth so that dental visits can be minimized. Optional ingredients: 1 tsp. castile soap, 1 tsp. sea salt, and/or a few drops of peppermint essential oil. Rinse eggshells and boil them for a few minutes. This will help get rid of any pathogens. Grind up the shells into a fine powder. Combine the ingredients in a bowl, adding coconut oil until it reaches a smooth consistency. Store in a container (jar). Every time your teeth are drilled by a dentist, they are undermined in profound and irreparable ways. The most common dental materials in use today are often toxic and further impede the natural healing of the teeth. Because dental patients are so conditioned over decades to submit to highly invasive procedures like root canal therapy, they are unaware of the safe natural approaches that have no unhealthy consequences. Eggshell tonic and toothpaste are only two of the ways which can help restore the teeth of those who faithfully follow this holistic program.